In chess, every move has a purpose. Trading cannot be successful with this much unceasing calculation, nor should we want it to be successful all the time. But if you want to be successful, you need to align your actions with a predetermined strategy, instead of bumbling through it. Play when you have an advantage (or trading edge). If you already have it, maintain in. If you still don’t have it, seize it… or be patient until you “tick all of the boxes” in your trading plan. If you wait too long before someone else makes a decision for you, it will be probably too late once you act. Invest in learning how to spot the right trades yourself. Learn how to spot patterns. Obviously, it is as important in chess as it is in trading to spot patterns. There are often clearly defined lines of success that work well. Learn how to see them and how accurate they are before using them. Patterns are everywhere around us- not only in chess and trading. Does this one sound familiar? To me it sounds extremely close to- don’t fight the tape- the trend is your friend! Don’t target your responses at people, macroeconomic factors- the market is always right and you should learn how to read it. Sometimes in chess you got stuck in a position known as zugzwang. In other words- whichever move you make is a bad one. Just like trading- once you are in a losing streak, whatever you do, it seems like it is the wrong one. This is just the way it goes- in chess and in trading. Be prepared to sacrifice material for position. Sometimes even the greatest material sacrifice can result in a winning position later on. Sounds familiar again? 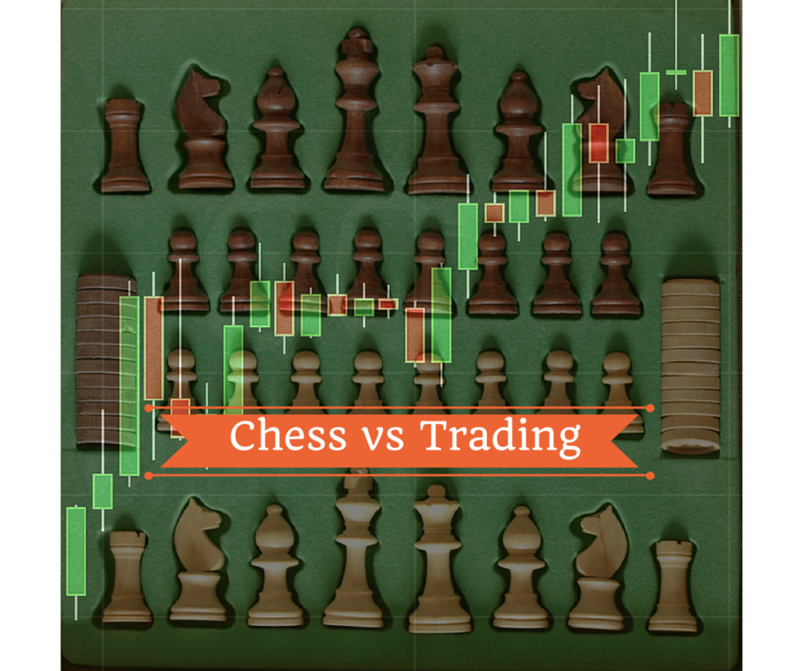 Just like in chess, in trading you need to be prepared to cut your losses fast. Don’t even try to find an excuse for holding on to a losing position. Try to stick to your predetermined rules- always! Sacrifice! If you spend all of your time chasing lowly pawns, you may be on the receiving end of an opponent who cares less about small victories and more about winning the war. As a trader, you should be looking more at the bigger picture. A few losses here and there do not matter- what matters is your balance at the end of the month/year/decade. Be consistent! How you start a game determines how you will finish it. Play wisely! When you enter into a position and it does not go as you expected it to go straight from the very beginning, you are probably wrong. Trade wisely! Never rest on your laurels. Keep thinking, looking for new opportunities and trying to generate new ideas. Don’t get too overconfident with your trading! Be always on the lookout for new opportunities and don’t forget your goals.